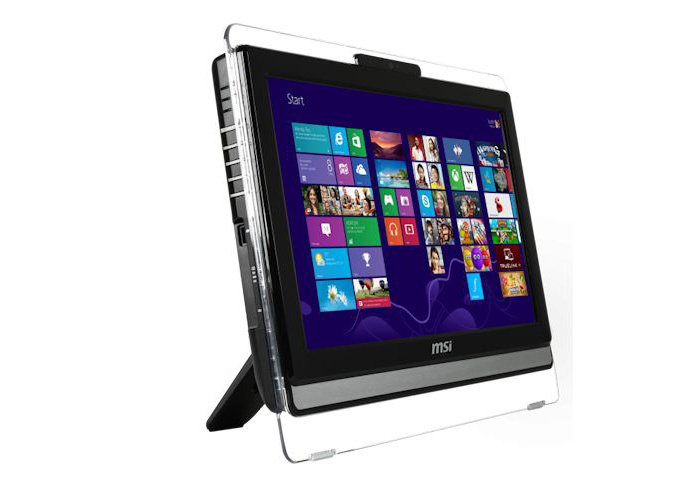 The Taiwanese maker of computer hardware and other equipment MSI has launched a new all-in-one PC known as AE200. The device comes with a 19.5-inch sensor display at 1600 x 900 pixels and an AMD Kabini APU inside. Here’s a quick overview on the AIO PC specs – the dual-core AMD E2-3000 APU runs at 1.65 GHz, there’s 4 GB of DDR3 RAM (expandable to 8 GB), a 500 GB/1 TB hard drive, AMD Radeon HD 8280 graphics, 802.11n Wi-Fi, a DVD Super Multi drive, a 3-in-1 card reader, two built-in speakers and Windows 7 64-bit. Apart from all this hardware the AE200 AIO PC comes with a few new technologies that will make working with it a pleasure. For example the display features an anti-glare coating that reduces reflections and protects the human eye from fatigue. The AE200 also has an implemented flicker-free technology for reduced appearance of flickering as well as Blue Light Technology that reduces blue light emitted from the screen with up to 75 per cent thus greatly reducing strain and hurt to the eyes. MSI did not mention pricing though.